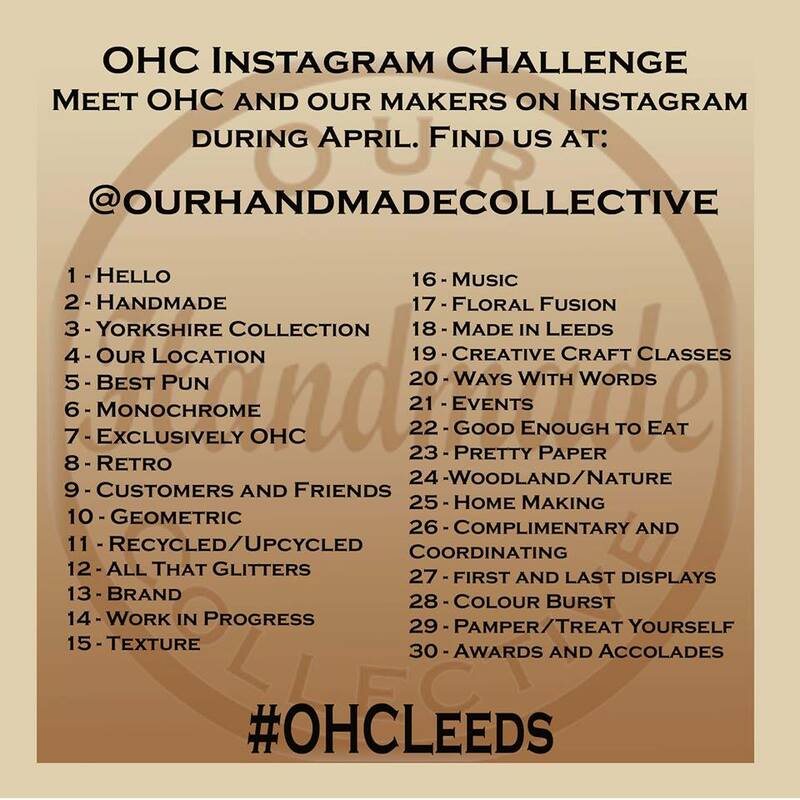 Do you follow Our Handmade Collective over on Instagram?They’re running a little challenge throughout April to tell the story of OHC through photos and would love you to get involved too! They’ll be posting different photos each day along different themes and would love to see your photos too. It’s simple, just upload your relevant pics on Instagram, tag @ourhandmadecollective and include the hashtag #OHCLeeds in your posts! Have you attended one of their events and have a great photo? Have you made the perfect purchase for your home and want to show it off? Have you made something fabulous at one of their Creative Craft Classes?